Bar stools has now become a very popular piece of furniture that grabs the attention of one and all. Being one of the renowned furniture items, it not just enhances the look of your place, but also offers you with a comfortable yet versatile seating for all occasions. Right from traditional to contemporary, bar stools come in different styles, designs, materials, finish, shapes, sizes and colors that match with every individuals taste as well as lifestyle. Whether for indoor use or outdoor, you will find such stools in different styles and patterns that perfectly complement the theme or environment of your space. You need to look for the appropriate features that will guide you towards the just right bar stool for your space, giving it a more of striking and excellent appearance. 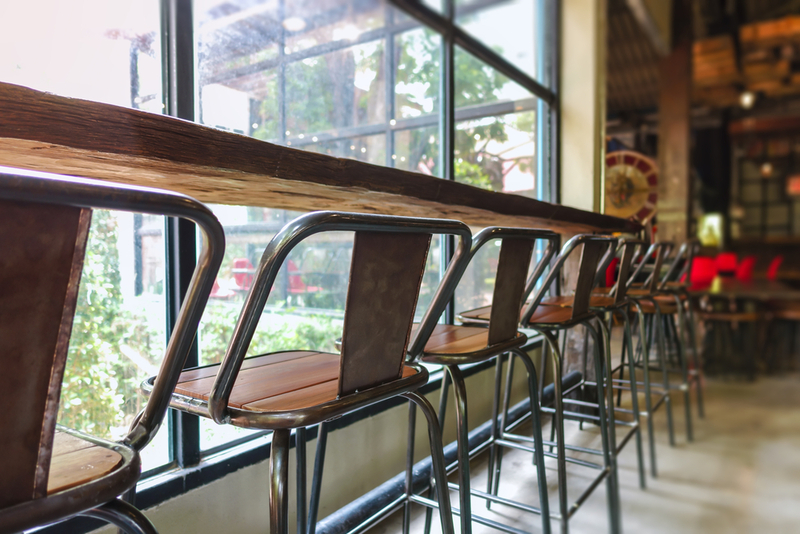 People usually purchase bar stools for a flawless seating experience, stylish appearance and most importantly for enjoying drinks as well as food on it. There are varieties of stools that are designed and styled for increasing the presence of different rooms such as kitchen, bar, office, living room, family room, bedroom, patio or some other place where you wish to create a small bar. When you think of placing them, one of the important thing for which it is used is for entertainment. People normally prefer using bar stools for relaxing and watching TV, playing games with their kids, sitting relaxed and listening to the music and as such for many other entertainments things. They are just considered to be ideal for fulfilling all your entertainment needs, whether it be at your home, office or some commercial place. Everyone right from a kid to the most senior member of the family loves sitting on this stool. Whether you want to purchase a bar stool for your kitchen, games room, home bar, bedroom, patio, garden or lounge, you will definitely get the most desired one that accomplishes all your needs. No matter, what style and theme you have incorporated in your home, after some research you will get the appropriate one, which complements the existing décor as well as theme. If you finalize on having bar stools mostly for entertainment purpose, make sure you keep in mind all your requirements and then get in the markets in search of that specific stool. When you buy a bar stools for your home, apart from being used a bar unit, it is usually used for many other things such as for relaxed seating, watching TV, for breakfast, office work, kids studies and as such many things. So, being used for fulfilling all your entertainment needs is very obvious. It isn’t that you have to purchase different bar stools for different purposes and rooms as well. You can ideally select one and can use it for various purposes in the various rooms of your home. There are stools available which can easily be located from one place to another. If you want to have dinner on your kitchen island and after that just want to get relaxed watching some interesting program on the television, you can easily move the bar stools from the kitchen to your living room or bedroom for watching TV. You can change their location according to your needs and provide your family members with a comfortable seating every time. There are bar stools offering several amazing features for providing you with a relaxed yet stylish seating. What you need to do is look into all the things properly and then finalize the one is most suitable for your space, fulfilling all your requirements. Look for all the factors properly and make some of the outstanding selection that will not only be appreciated by all your family members but also by all your guests, friends and relatives.